The Battle of Zverograd has flared up again! 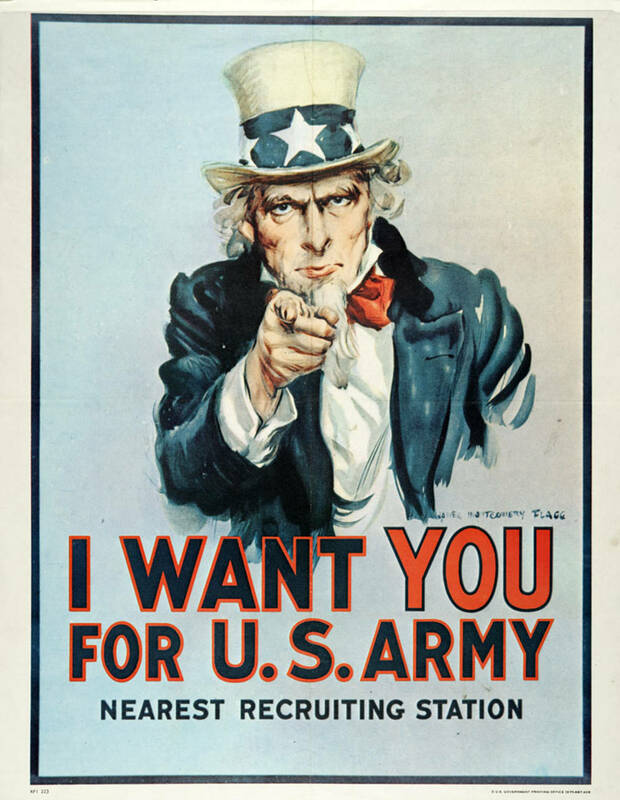 Uncle Sam needs needs you in the Allied army – help kick out commies and nazis from that city and discover the secrets buried under the old Monastir Pull on the mast the star-spangled banner and grab on of the allied armies from 2 player Zverograd Anniversary starters! 2 player starter sets were one of the best sellers at the end of 2017. Similar to one player starters these boxes include all that is needed to play the game – miniatures, unit cards, dices, plastic and cardboard terrain elements, basic rules set and 2 poster-maps that replace the neoprene mat. 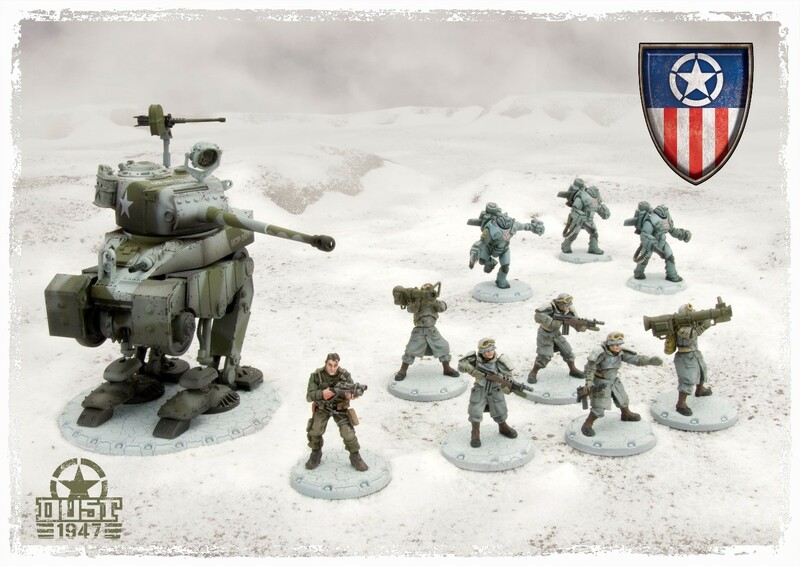 The second difference is the amount of miniatures – as this is a 2-player starter you get twice the models, and even more  In one player starter you can find a light or a medium walker, an infantry squad and a hero. 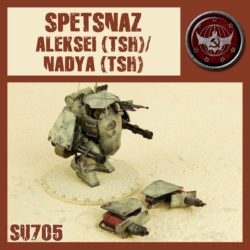 In the case of Zverograd Anniversary each army gets a medium Walker, 2 infantry squad and a hero. 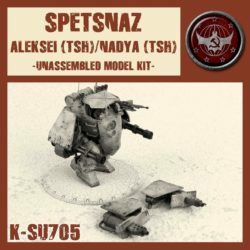 As usual all models are of superb quality, already assembled and primed – ready to play right “out of the box”, without any additional time for modelling, assembly or painting. 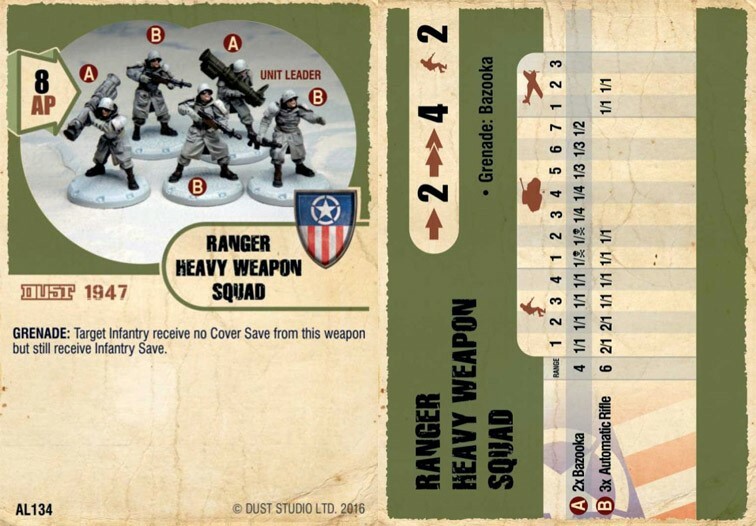 The sets come in any configuration you may require (Allies VS Axis, Allies VS SSU, Axis VS SSU), so there is no problem with you or your pal needing to pick the “less attractive” army – each of you can pick the block he’s interested in. 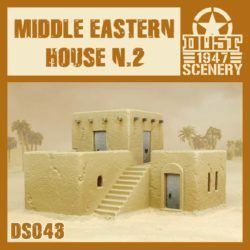 Allies aren’t the most spoiled block in the last years of Dust 1947. They are losing the British Isles; Middle East is slipping from their grip and to add insult to injury SSU forces landed on US soil (in Alaska and Florida). Also, rule wise the latest 1947 version of unit cards nerfed some of the most popular units in allied general’s armies. But a good commander will still be able to use mobility and versatility – staple of these forces. If you just remember that „he who strikes first, kills first” – opposing armies plastic cemeteries will grow quickly. Your main advantage in making sure that enemy forces die before you will be the Black Ops ability. This special rule brought by allied hero Bazooka Joe allows you to roll one more dice while checking the imitative every round. Winning that in crucial moment of the battle can quickly end in coup de grace for your enemy. 25% more Chance for activating your unit first is not a thing a Dust player treats lightly. Bazooka Joe, iconic character in all Dust iterations is quite effective against enemy infantry. He can use his grenade launcher with an expert efficient, worth reminding is the fact that this piece of equipment also negates cover. To add to those quite impressive traits he’s also an Officer – which allows him to reactivate units that already activated (but are no further than 2 fields away, it’s hard to shout over the gunfire  ). The old „Grim Reapers” maybe aren’t as scary as they used to be, but still allied scientist have no better way of eliminating enemy soldiers than these gentlemen. Impressive amounts of dice against armor 1 and 2 soldiers can be very effective – with a bit of luck even guarantee destruction of unit “in cover” (it’s sure with sustained attack or no cover for enemy  ). Even a desperate attack on enemy armor with their armored fists can sometimes turn the tide of battle. Speed of 3/6 allows for quick movement between cover – which is crucial while using allied armor 3 units. Even a non-sustained enemy fire can easily reduce fire power of this 3-man squad. The old saying states that things that do everything are in fact useless. Luckily, It’s not entirely true with this ranger squad. They can engage enemy infantry thanks to three assault rifles and fight toe to toe with enemy armor units thanks to 2 bazookas. 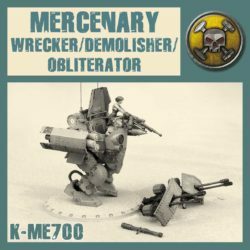 It’s one of the best allied infantry based anti-tank unit, and with a bit of luck you should be able to one-shot any light vehicle and deal heavy damage to anything more significant. Tactics wise, these boys work good as a support and flank-covering unit. Also, don’t forget you can join them with Bazooka Joe to increase their survivability. 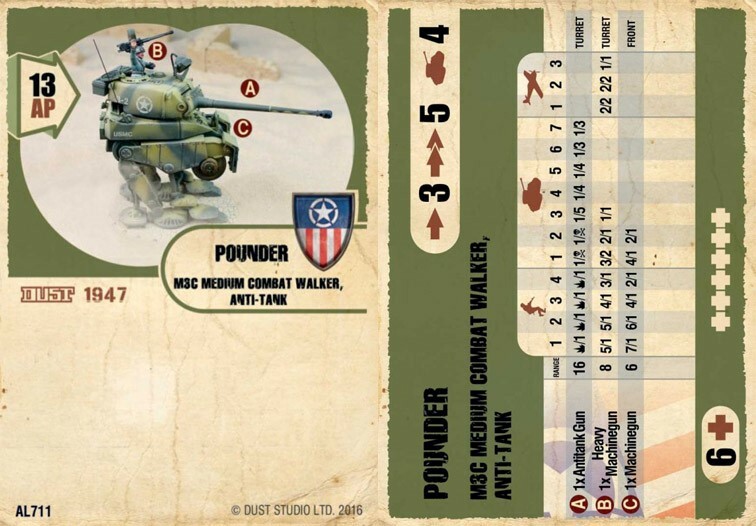 Pounder – how it is, you can see clearly… Quite effective against enemy armor, sadly based on Dice Gods smile upon you – one die in attack only gives us 33% Chance on succeeding with our plan. More experienced allied commanders know that Pounder is also a useful anti-infantry support machine. 2 machine guns, 6 health points and armor 4 rating make It an effective and “hard to destroy in one shot” walker. It can also serve as mobile cover point of our more expensive infantry units. Commanding allied armies, it’s best to keep the enemies afar – and I don’t mean a shameless retreat but using your superior weapon rangers. Rangers should engage enemies at 5-6 fields, and if possible from cover. Fearsome range of Pounder gun (16 squares) allows it to fire multiple Times before enemy closes into dangerous close range (with a bit of luck they won’t make it anyway ). 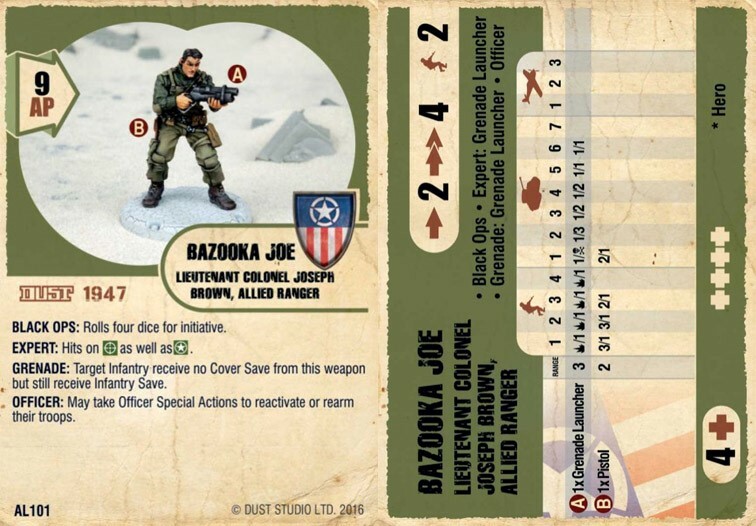 Bazooka Joe supported by the infantry squads should keep back reactivating our 2 remaining units. Afterwards he with his team can assault the enemy units softened up by our long-range fire. 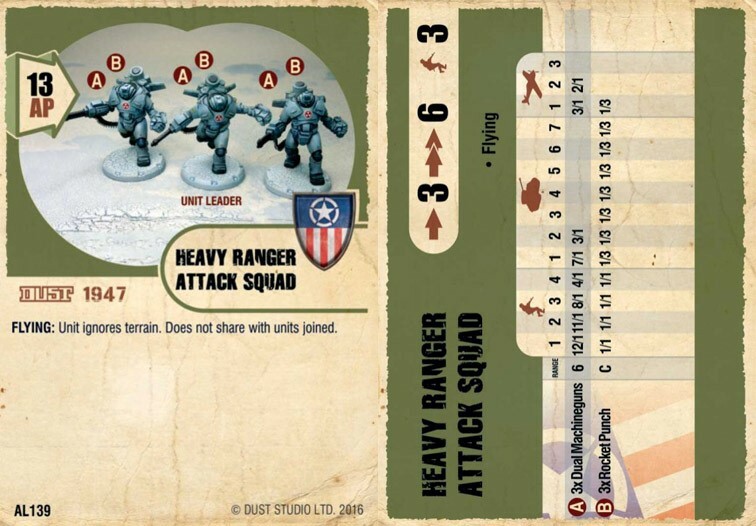 It’s common knowledge that allied heavy rangers are best used in swarms – adding a Heavy Ranger Tank Hunter Squad (old Tank Busters) to our army will greatly increase its anti-armor potential. And if your line of infantry is strengthened by Heavy Ranger Assault Squad (best commanded by Rhino), no heavy walker or plane becomes a problem. Popular „Hammers” never go out of fashion, and still keep up with the tournament meta – and the arrival of the mythos forces will probably ignite another, 675463 youth . Our lighter infantry will be best supported BBQ Boys, the Ranger Assault Squad. It’s undisputable best, not aging armor 2 allied unit. Fast, efficient both against infantry (deadly mix of shotguns and flamethrower) and armored targets (flamethrower and satchel charges) – what do you need more? Well, maybe a little more anti-tank support as sending a lone Pounder against more serious enemy vehicles is like going to a Turkish disco with only a knife. Rattler or even Blackhawk allow our lone raisin to feel more secure. And if you have a birthday somewhere near – a Bulldog/Six Shooter box will be a best gift. These steel behemoths will ensure a lot of fun and spiritual emotions to your enemies during their panic retreat from the battlefield.